Insurance policies are generally bought through agents. Agents will tell you that they have your best interest in mind and that the policy being sold by them is the best available one. But make sure that you do your own research about the product being sold and its alternatives. It might seem odd but fact is that you do not buy insurance for yourself. You might be paying for it and getting tax benefits, but in reality, insurance is a product that is bought to ensure financial security of one’s family and dependents. This also means that in case you buy a wrong insurance product, it will be your family that will bear the brunt and not you. And no one wants their families to suffer because of a wrong choice of insurance product. Isn’t it? Therefore, it’s very important to ensure that you don’t end up buying a wrong policy. Lets evaluate some important points that need to be considered while buying insurance. Insurance policies are generally bought through agents. Agents will tell you that they have your best interest in mind and that the policy being sold by them is the best available one. But make sure that you do your own research about the product being sold and its alternatives. Remember that the responsibility of choosing the correct insurance product is on you and not your agent. Now agents work on commissions, i.e. they get a percentage of the premiums the insurance buyers pay. So its quite possible that some agents might try to push insurance products that give them more commission but might not be suitable for you. So make sure that you have an idea about the commission structure of policy being sold and understand whether there are any vested interests in its sale or not. Remember that wrong policy can create problems for your own dependents and that is clearly not what you want. 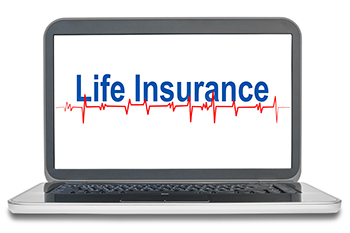 So make sure that you keep these small but important things in mind while purchasing your life insurance policy.